The community of Bishop’s College, Kolkata, observed Tribal/Adivasi Sunday on August 5, 2018. The leader of the worship Rev. Priscilla Papiya Durairaj led the worship service following the order of worship provided by NCCI, Dalit and Tribal/Adivasi Concerns with certain modifications. Among the few modifications were lighting of lamps by different members of the community to invoke the divine presence; an adivasi dance procession of different tribal/advasi groups from the community at the beginning of the service to celebrate jal, jungle and jameen. This was followed by the bringing of water, plants and earth at the altar, as symbols of thanksgiving for God’s gift to us. The sermon focused on the selected verse from the theme Leviticus 25:23 and highlighted certain facts about water, land and forest considering them as the natural gifts to us from God and hence these have to be preserved instead of exploiting them. The sermon highlighted the significance of honoring and protecting the natural resources which are explained in the Bible particularly in the gospels and the specific use of parables having natural imageries. 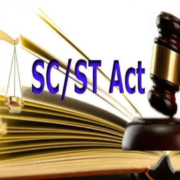 The sermon emphasized the vulnerable condition of and struggles faced by the tribal and adivasi communities and the responsibility of church and faith community towards caring for these communities and also caring for the gifts given by God. There were two special songs sung by the student community, apart from the two songs in the order of worship. 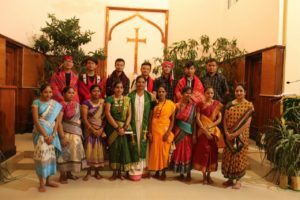 The service concluded with the benediction, followed by an Adivasi dance in which the congregation also participated, dancing and going out to affirm and celebrate Jal, Jungle and Jameen once again. The Church of North India, Chotanagpur Diocese, Ranchi, observed Tribal/Adivasi Sunday on August 5, 2018. This was yet another occasion when the entire community participated joyfully to mark the celebration of International Indigenous Day. 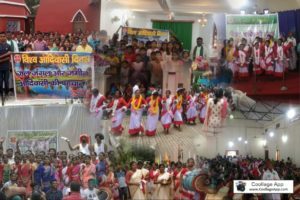 The Churches of Chotanagpur Diocese in various parts of Ranchi and other districts observed the day with great enthusiasm and joy. 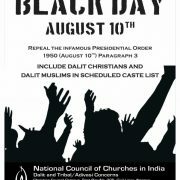 The churches followed the order of worship provided by the NCCI, Dalit And Tribal/Adivasi (DATA) Concerns desk. The speakers for the day highlighted the significance of natural resources and also emphasized the theme Jal, Jungle and Jameen: Protecting God’s gift to Tribals/Adivasis based on Leviticus 25:23 which gave an impetus to their responsibility of protecting, preserving and using wisely the resources provided by God, by following the example of stewardship. 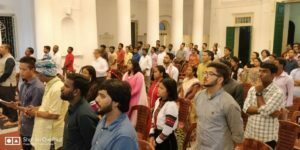 The worship services which were conducted at various parishes offered wonderful glimpses of cultural and traditional forms followed by tribals and adivasis of Jharkhand from their traditional attire, musical instruments and dance which marks creation of God as their identity in their daily life. The services at different parishes concluded with benediction, followed by traditional dances in which the whole congregation participated, thereby affirming and celebrating the creation of God. 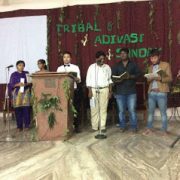 Leonard Theological College, Jabalpur observed Tribal and Adivasi Sunday on 12th August 2018 under the initiation of the Worship and Music committee of the college. The program was conducted by the Women’s School and by Students from Northeast India and Odisha. In her sermon, Rev. Percis Peters reflected on the theme Jal, Jungle and Jameen from Leviticus 25:23. This was also the time to celebrate the gifts of natural resources given by God to the indigenous communities and therefore the worship commenced with a colourful presentation of traditional attire of tribals and adivasis to remind everyone of the distinct and varied cultural identities of these communities. The worship was also a time for all to be reminded of the authority of God over the earth and that every person is appointed as a caretaker/steward during their journey on earth. An Epistle on Radical Inclusivity Floods! Fundamentalism! Franchise!